Lively district seat with art nouveau architecture and an imposing castle on sandstone rocks: The district seat Bernburg (Saale) in the Salzland District of the Magdeburg Börde has significantly expanded its infrastructure. 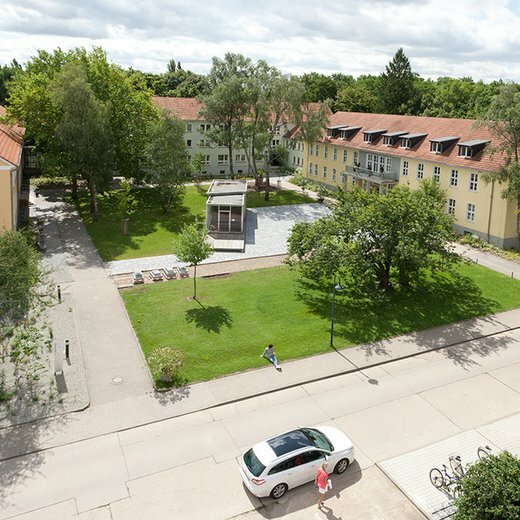 Anhalt University’s green campus lies in the city district Strenzfeld and has beautiful gardens. The departments of Agriculture, Ecotrophology and Landscape Development (Dept. 1) and Economics (Dept. 2) are located in Bernburg. Bernburg has been a university city for more than fifty years. Currently around 3,000 students study here, supervised by 53 professors. The Bernburg-Strenzfeld campus stands out with a high quality of life and studies. With 50 ha of experimental fields, state-of-the-art laboratories for the Life Sciences, and numerous project gardens, it offers space for experiments in teaching and applied research. The residence halls are located in the midst of parks and sports facilities. The city on both sides of the Saale offers a high quality of life to around 35,000 people: affordable housing, good job opportunities, and many cultural and leisure time activities. The parks in the Saale valley can be reached by foot from the city center. Students enjoy this as well as the Lower Saale Valley nature park. The city of hills and valleys also has an eventful history: Its landmark is a magnificent Renaissance castle. 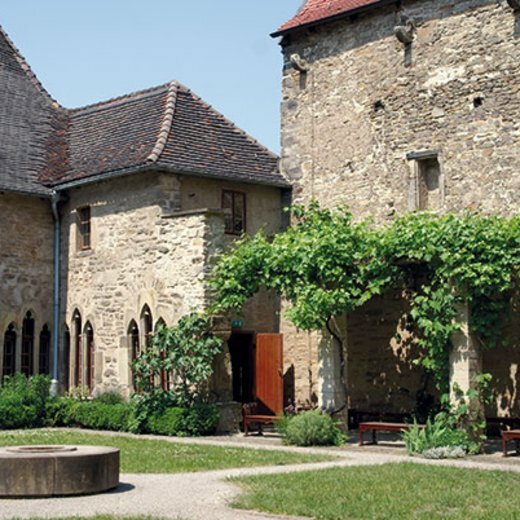 From this castle, the House of Ascania ruled over the sovereign Duchy of Anhalt-Bernburg. Dark chapters of history have not been covered up; in today’s state hospital, a memorial commemorates the victims of Nazi euthanasia. Since 2015, Bernburg has carried the Community of Protestant Church’s honorary title “Reformation City of Europe”. With a music theater, plays, and cabaret, Bernburg offers students many cultural activities geared to their tastes. Whether the event is at the Carl-Maria-von-Weber Theater, the Kurhaus, or the Kleinkunstbühne Metropol - all culture sites have a historical atmosphere. The classicist architecture of the former court theater is a true gem. The Kurhaus, which was built in former times when the city was home to spas, has been transformed into a house of culture with its turrets and art nouveau architecture. There you can also find the Technology and Start-Up Center, where creative ideas are supported - of course students can also contact the Wirtschaftsförderung Bernburg. Located in the urban area between Magdeburg and Halle (Saale), Bernburg benefits from an optimal geographic position. The legendary fertile soil offers ideal conditions for agriculture and modern plant breeding. Businesses appreciate excellent connections to road, train, and air transport. In addition, early investments were made in digital infrastructure. Besides good working conditions, the many recreational activities entice people to come to the prospering district seat.